This year we are trying something new and announcing each month's newly digitized collections from UK Special Collections Research Center. 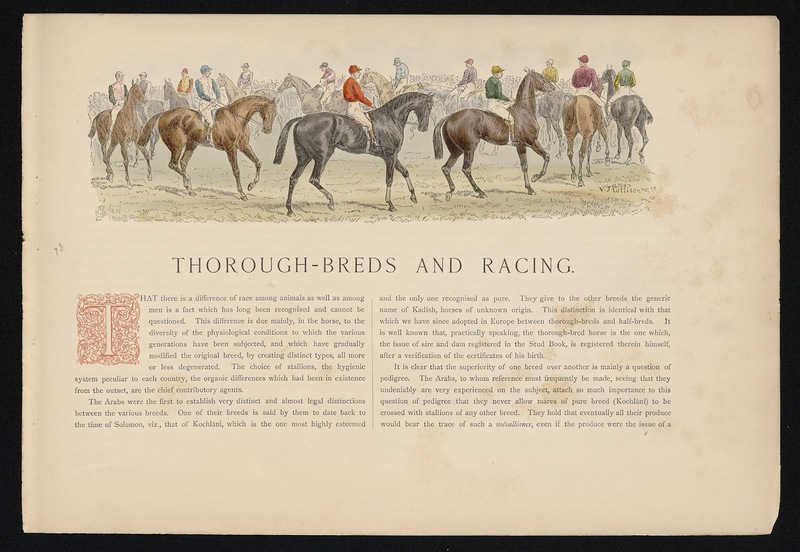 The following collections were digitized and added to ExploreUK in January 2018. Enjoy! The William Jason Fields scrapbook (dated 1911-1923; 0.6 cubic feet; 1 box, 1 item) contains materials he collected during his years in the United States House of Representatives. 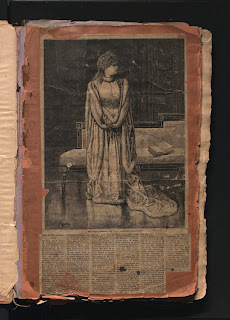 The Hathaway family papers are letters, scrapbooks, diaries, and general materials of Leeland Hathaway, his wife, Mattie Wheeler Hathaway, and daughter, Carrie Lee Hathaway. The Barrow Unit papers (dated 1899-1957, bulk 1917-1919; 0.1 cubic feet; 1 reel) include correspondence, printed articles, newspaper clippings, official orders, and rosters documenting the military medical unit known as the Barrow Unit, which provided medical services in England to personnel of the United States Army during World War I. The William Sylvester Taylor papers (dated 1899-1937; 0.1 cubic feet; 1 reel) consist of materials related to the Kentucky gubernatorial election of 1899 and its aftermath. The Marlow Cook moving image and audio recordings (dated 1969-1974, undated; 1.25 cubic feet; 1 box, 2 items) consist of color and black and white 16mm films, reel-to-reel audio recordings and one 2-inch quadruplex videotape documenting the family life and political career of Marlow W. Cook (1926-2016), member of the United States Senate from Kentucky in the 91st, 92nd and 93rd Congresses (1969-1974). The Caleb Powers papers (dated 1900-1941; 6 cubic feet; 9 boxes, 1 item) consist of materials relating to the third and fourth trials of Caleb Powers, which took place during 1903-1904 and 1907-1908. Clinton Jones True served in the Civil War as a captain in the 40th Regiment and a colonel in the 53rd Regiment of the Kentucky Volunteer Infantry. After the Civil War, True was appointed consul on the island of St. Thomas by President Ulysses S. Grant. After disappearing in the early 1880s, True was later declared legally dead. The Clinton Jones True papers consist of various military papers, correspondence, a copper engraving, and broadsides relating to the life of Clinton Jones True. Letters concerning health, money, and other personal matters from True to his wife, Harriet, comprise the bulk of the correspondence. University of Kentucky Libraries Special Collections Research Center recently organized and digitized the W. Hugh Peal Manuscript Collection, comprising approximately 7,000 items (43.94 cubic feet) of original letters and documents of English and American Romantic and early Victorian authors. 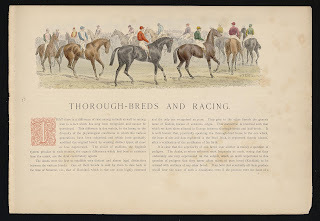 The collection is available on the University of Kentucky digital library ExploreUK. Print of Charles Lamb, Mary Lamb and the Lamb family. W. Hugh Peal (1989-1987) was a native Kentuckian, a lawyer and UK alumnus. He collected books, manuscripts and letters while a Rhodes Scholar in Oxford (where he obtained law degrees in 1924 and 1925) and continued during his law practice in New York City in the 1930s and 1940s. His collections, along with his acquisition books and journals, were donated to UK in 1981. The Peal Manuscript Collection represents one of the strongest holdings of original documents of the early English Romantics in the United States. 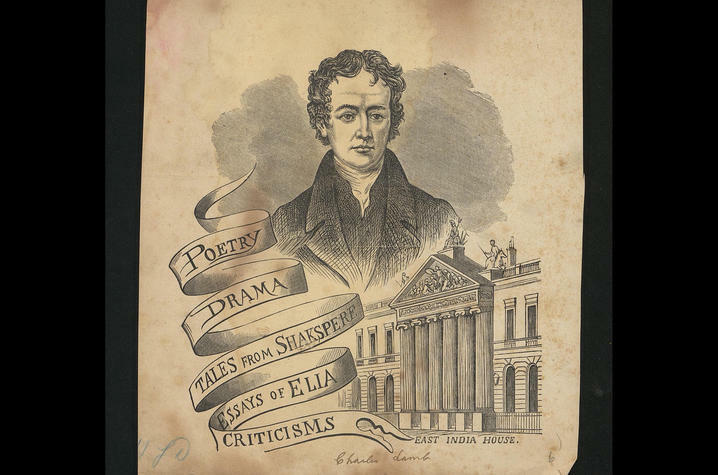 The core of the manuscript collection centers around the best-known Romantic authors, Charles Lamb (98 letters), Samuel Taylor Coleridge (51 letters), William Wordsworth (37 letters) and Robert Southey (64 letters and 16 manuscripts). 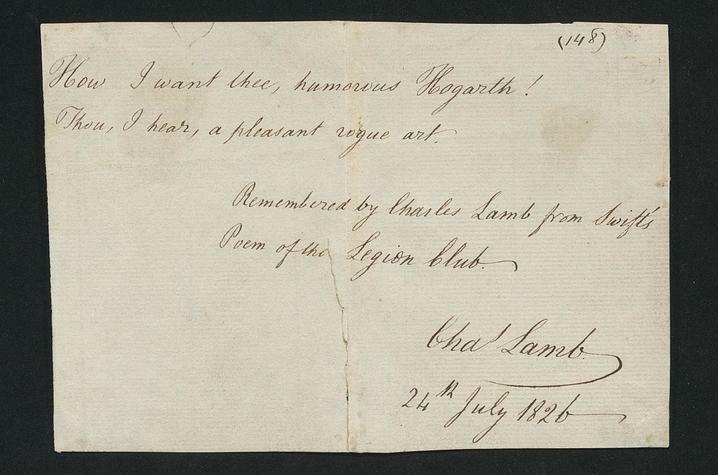 Charles Lamb manuscript, "How I Want Thee, Humorous Hogarth," 1826. American authors comprise approximately 900 items, including Samuel Clemens (Mark Twain) and William Dean Howells. 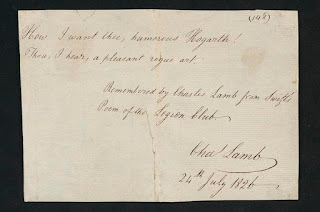 There are manuscript letters or poems by virtually every significant English author who wrote during the period 1790 to 1830. 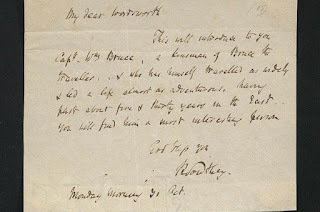 English Victorian era authors (1830-1900) are also represented, including several letters from Charles Dickens, as well as English writers from 1880-1940. In addition, there are letters and manuscripts by French authors and politicians, including Jean Jacques Rousseau, Voltaire and Alexis de Tocqueville. 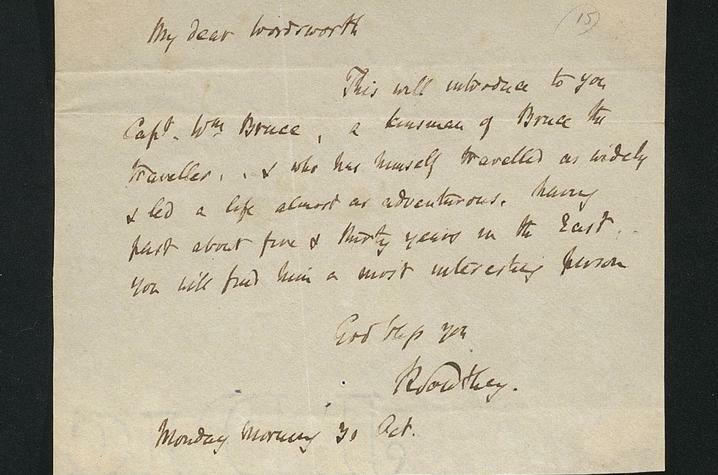 Robert Southey letter to William Wordsworth from the Peal Collection.